As Journal of Technology and Teacher Education (JTATE) editors, we work closely with the editorial review board and the international advisory board to provide a quality, double-blind, peer review process. We also work directly with authors as they prepare manuscripts, revise papers, and integrate reviewer comments. Finally, we make sure we maintain as much transparency as possible (while still ensuring double-blind review). There are three activities we use to promote this transparency. Ferdig, R.E. & Chenowith, N.H. (2018). Editorial: Submissions and publication data from the 2017 volume of the Journal of Technology and Teacher Education. Journal of Technology and Teacher Education, 26 (2), 177-184. Waynesville, NC USA: Society for Information Technology & Teacher Education. Retrieved April 19, 2019 from https://www.learntechlib.org/primary/p/183719/. Chenowith, N.H. & Ferdig, R.E. (2017). Editorial: What we learned about technology and teacher education in 2017. 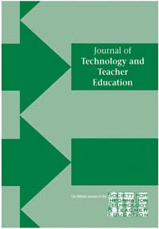 Journal of Technology and Teacher Education, 25(4), 365-375. Ferdig, R.E., Sprague, D., Maddux, C., & Albion, P. (2007). Publishing data evidence to support educational technology claims. Journal of Technology and Teacher Education, 15(4), 429-437. Lives In Context: Cross-course, project-based learning collaboration.